Currently, one may find merely few topics in European-Russian relations on which a constructive discussion is still possible. Environmental protection is one of these topics. While Russia just like Germany sticks to the Paris Agreement on Climate Change, the country’s oil and gas producers are striving to become cleaner and greener along their value chains: instead of flaring the associated gas in oil production they process it, areas contaminated with oil are being recultivated. Risk management and accident prevention systems are being implemented. German and European companies provide the necessary technologies and solutions. 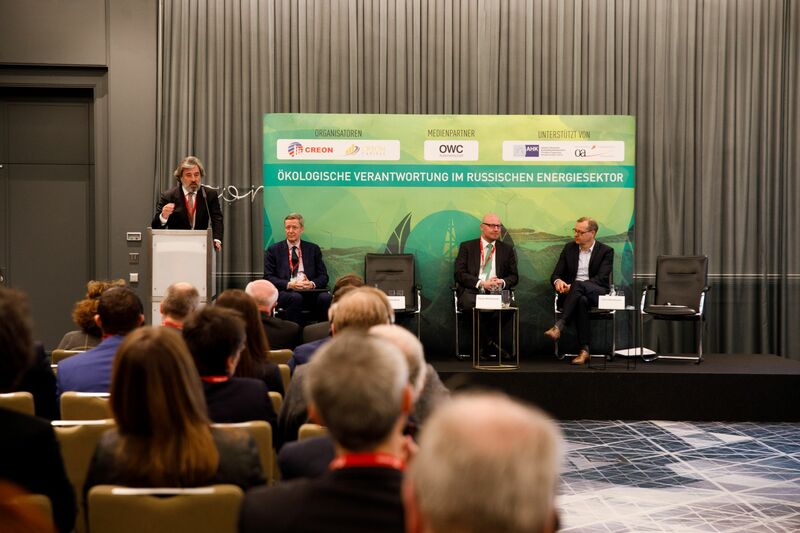 In order to awaken the potential of the cooperation and to expand the cooperation, the 2nd summit “Ecological Responsibility in Russia’s Energy Sector” took place on December 5th in Berlin Marriott Hotel. 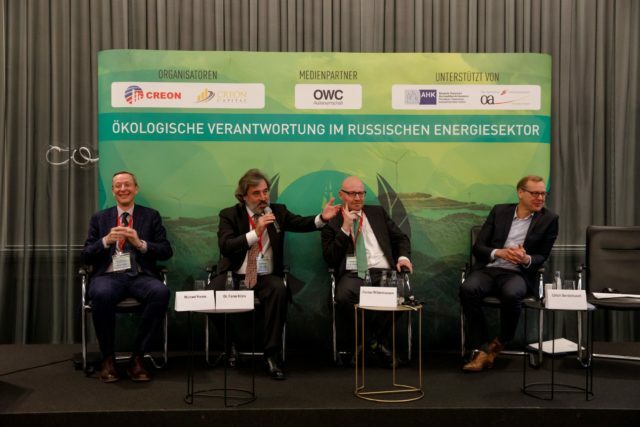 The Moscow-based CREON Group and the group-owned fund management company Creon Capital (Luxembourg) hosted the event. CREON finances “green” projects in the oil and gas industry and accompanies them in execution. The German Eastern Business Association (OAOEV) and the German-Russian Chamber of Commerce supported the event, which attracted around 100 participants. To document progress in Russia and also further cooperation this potential, CREON invented the independent transparency rating of oil and gas companies on environmental responsibility five years ago. The results have been presented together with WWF Russia. 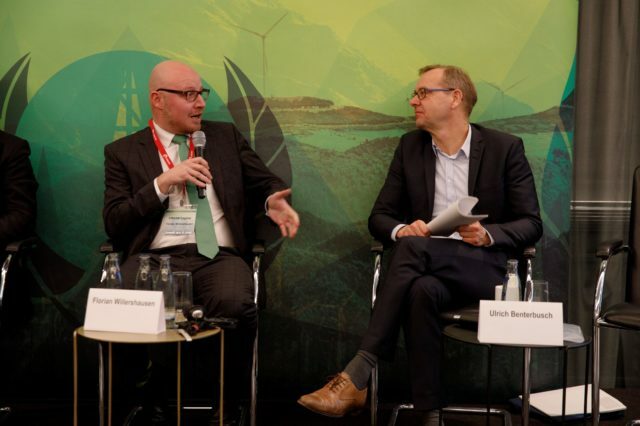 Ulrich Benterbusch, who oversees the German ‘Energiewende’ at the Ministry of Economic Affairs and Energy (BMWi), described the survey as “very important” and welcomed the establishment of the instrument. At the same time, he sees potential for a greener transport infrastructure: “Natural gas mobility could be an integral part of the energy transition in the transport sector in Germany.” LNG, as an alternative fuel especially for ships and heavy commercial vehicles, is cost-effective and environmentally friendly in the long term, especially as though the admixture of biomethane the CO2-free mobility would become a possibility. 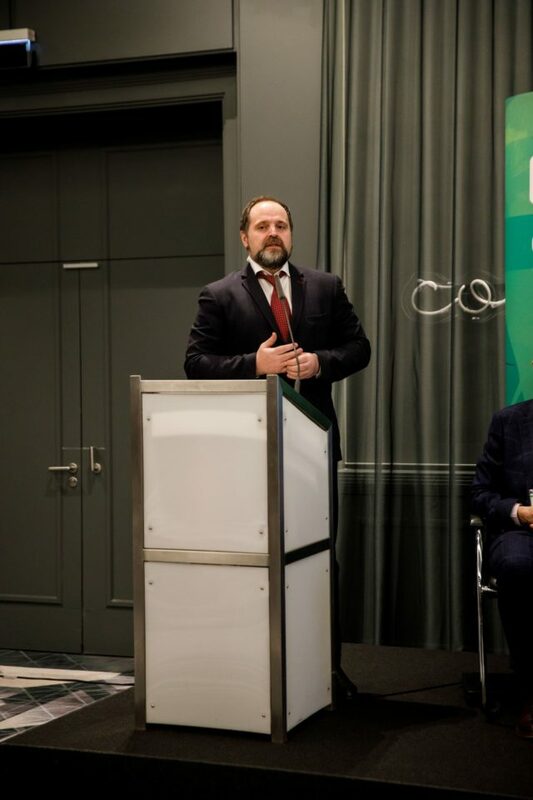 At a panel discussion, Russia’s ex-Minister of Environment Sergej Donskoy, DEA Manager Michael Zettlitzer, Tatyana Minayewa of Wetlands International and Elena Kompasenko (Zarubeshneft) deepened the topic of “ecological responsibility” – and agreed on a conclusion, drown by Donskoy: Of course, there is still room for even more environmental protection in Russia, but it’s going in the right direction. “We are not wizards, but we are learning,” Donskoy said. But every initiative is important. CREON is a Moscow-based group of independent consulting and management companies, which has developed a comprehensive expertise in the chemical, energy and commodity processing industries in about 20 years. Luxembourg-based Creon Capital manages a private equity fund that invests in projects in the energy and chemicals sectors, including green technologies and building LNG infrastructure in Europe. Sergey Donskoy served five years as Russia’s federal minister for ecology until he started to work for Irkutsk Oil Company.